This story reminds me of the promise of God in John 15:7, which states that if we abide in Him, and His words abide in us, we can ask for whatever we wish, and He will give it to us. What a promise! Well, Solomon was abiding in God, and God said that He would give him his wish if he would just ask for it. So Solomon, still in his dream, offered this prayer. Notice that he did not immediately start making requests. Rather, he started his prayer by exalting God for His great kindness—kindness not necessarily shown to him, but to his father David for fulfilling His promise to him that He would give the Kingdom to one of his sons (1 Chron. 17:11). Next, after extolling God for His great kindness, he confessed his lack of experience in leading and governing. Thus he prayed, “You have made Your servant king instead of my father David, but I am a little child; I do not know how to go out or come in.” This term, “go out or come in” is a description of the conduct of men in everyday life, or the way one carries out his duties. In Solomon’s case, he was saying that he didn’t know much about how to govern and how to carry out his duties as king of Israel. He felt he needed help. So he prayed that God would give him wisdom, that is, that he would have the ability to judge the people and to discern between good and evil. Well, God gave Solomon wisdom, more wisdom in fact than anyone before him and more than anyone who would come after him. But He also gave him what he didn’t ask for-riches and honor. The prayer lesson here is that if we abide in Him and seek His kingdom first, just as Solomon did, then He will give us much more than we ask, even beyond what we would think of asking for (Matt. 6:33, Eph. 3:20). 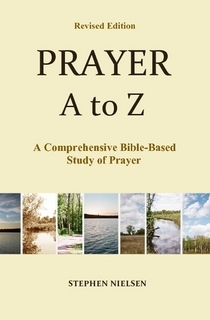 This entry was posted in Part 3, David to Jehoshaphat, Prayer A to Z Excerpts and tagged answers to prayer, father David, John 15:7, King Solomon, servant David, servant king, Solomon, Solomon wisdom. Bookmark the permalink.